CORNWALL, Ontario – The Planning Action Committee (PAC) heard a presentation from thinc design, a consulting firm hired by the City of Cornwall to formulate a new Waterfront Plan. thinc presented 77 potential recommendations to PAC for the length of the Cornwall waterfront from Guindon Park to Boundary Rd. One central feature that thinc is recommending is a waterfront promenade that would stretch from the West end of Lamoureux Park all the way to Cornwall Harbour in Le Village. “The idea is that it would provide backbone and structure to the park. It helps to bring all of those disconnected pieces together,” Michael Tocher of thinc design explained. However, Tocher said that there was something in the way of completing this hypothetical promenade all the way to the harbour, namely, the ball diamonds in Legion Park. “We do feel because the ball fields are a single use amenity, and they are only use a couple months of the year, there might be an opportunity to move them to the Benson Centre,” Tocher continued. Tocher suggested that the ball diamonds and those that use them might be better used at the Benson Centre, which has more space and more amenities, explained Tocher. 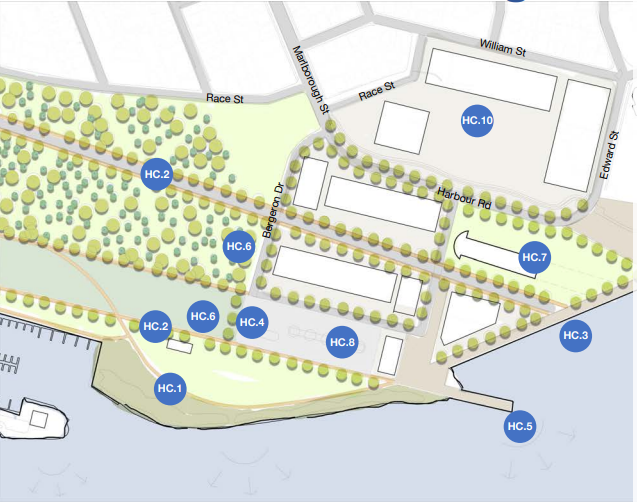 thinc proposes that Legion Park become a “passive” waterfront park space with a small forest in addition to the promenade. “I would argue that we have enough passive space, but I would argue that it does bring people to the park,” said Councillor Justin Towndale of the ball diamonds. “Without it I think there would be less traffic to the park. I have a concern that the fields are taken out before something better is built and I can see that happening,” he continued. Tocher explained that he had spoken with some stakeholders in the ball park who expressed their concern over holding tournaments at the park due to lack of space. 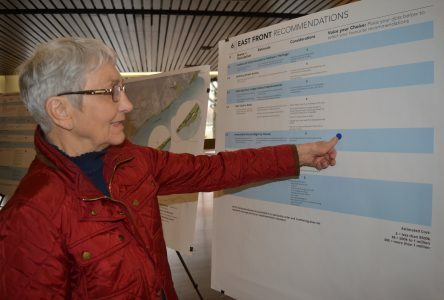 Councillor Carilyne Hébert hoped that the waterfront promenade could be built without disrupting the ball park. On April 9, thinc will be holding public consultations where citizens of Cornwall can give their feedback on the proposals. 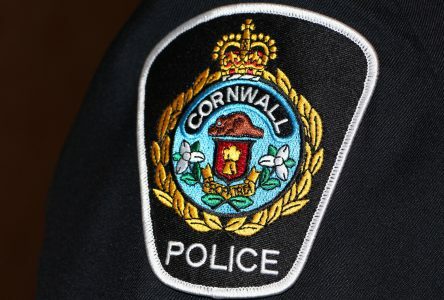 Tocher said that based on that feedback, some proposals might be removed or added to their recommendations to Cornwall City Council. Other suggested additions to the Cornwall waterfront are various spaces along the waterfront for viewing and boat accommodations. Also, Tocher said that the Legion Park area might be a good spot for an off-leash dog park. 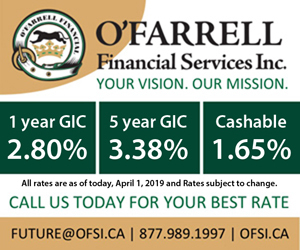 Some of the other recommendations include re-orienting the bandshell to improve the acoustics, adding a wakeboarding cable water park to the Canal area near Riverdale, a waterfront spa and a stargazing area in Guindon Park. Kyle Bergeron a volunteer with Cornwall Minor Baseball said that he liked what he heard from the PAC members in response to thinc’s proposal for the ball parks. He said that his group was amenable to working with the City and other interested parties in improving Legion Park. Bergeron did feel however that the recommendation that the ball diamonds be removed be struck from the plan entirely. “It affects our funding efforts,” he said, giving the example that Cornwall Minor Baseball is currently looking at raising money for new lights in the park. 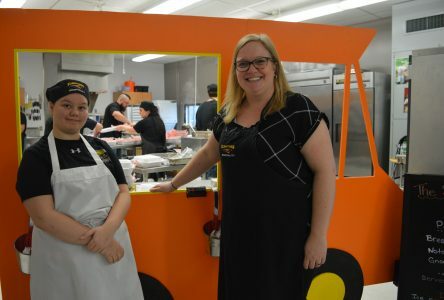 “If this recommendation is in the plan for the next 25 years, then it hurts us when we’re raising money for the next 25 years, so we need to see that recommendation go,” Bergeron continued.